OMG Posters! » Archive 18x24 - A Pop-Up Poster Shop in Chicago This Weekend! - OMG Posters! 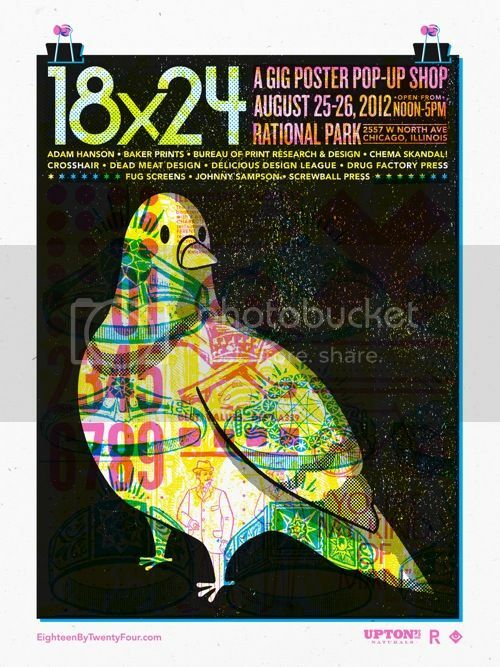 18×24 – A Pop-Up Poster Shop in Chicago This Weekend! Adam Hanson has organized a sort of Flatstock-lite for midwest poster artists this weekend in Chicago. It goes down at Rational Park, and a ton of artists will be in attendance. Get all the info at their Facebook page and website.